With industry leading products, and the support of a top notch manufacturers we give our retailers the best of both performance, design and sustainability that are vital to their success in the marketplace. We distribute products from the U.S.A, South America and China. As a company we always take environmental regulation and safety very serious when sourcing new products. We can say with confidence that every laminate and engineered hardwood that we represent is 100% CARB II compliant as well as Lacey Act compliant. One of the world's leading manufacturers of fine flooring, Mannington Mills, Inc., based in Salem, New Jersey (USA) is engaged in the manufacturing and marketing of residential and commercial sheet vinyl, luxury vinyl, laminate, hardwood and muli-layer flooring, as well as commercial carpet and rubber. Mannington is a fourth generation family-owned business with values that include: CARE; DO THE RIGHT THING; WORK HARD/PLAY HARD; and CONTROL OUR OWN DESTINY. As the LVT specialists, Metroflor is in constant pursuit of the next innovation. Our appreciation for style, design and color knows no limits as we search the globe for floors that make a design statement while delivering outstanding performance qualities. Paramount was first used by Herregan in the early 1970's for a private label line of carpet that we sold. After freight deregulation, Herregan abandoned the carpet category and start focusing solely on hard surface. In the mid 2000's when the major manufacturers were focusing mostly on engineered hardwood products, we knew we could fill a niche in the solid hardwood category. In 2007 we launch Paramount Flooring. It started as a small solid line and has grown to 60 SKUs in solid hardwood, plus 60 SKUs engineered and porcelain tile as well. American Made, Made America! Canoe Bay is a brand of American Made Engineered Hardwood and Laminate Floors. They are creating the highest-quality floors and jobs right here in the United States so you can feel good about your flooring choice. Reviving the tradition of crafting hardwood flooring in the United States, using material from sustainably managed North American forests is more than their mission – it's their legacy. Somerset is a Privately Owned Company with over 20 Years Growth in the Hardwood Industry. They are experts in the wood business, building a strong reputation for manufacturing quality Appalachian lumber and unfinished and pre-finished flooring. From the outset, they made a major commitment to produce the finest quality prefinished flooring. The majority of the Appalachian timber processed at Somerset Wood Products comes from nearly 120 sawmill suppliers within a 150-mile radius of our plants. Our “waste-not" philosophy and commitment to our natural resources starts here, where even the bark of the tree is used for mulch—in fact the entire tree is put to use throughout our manufacturing processes. 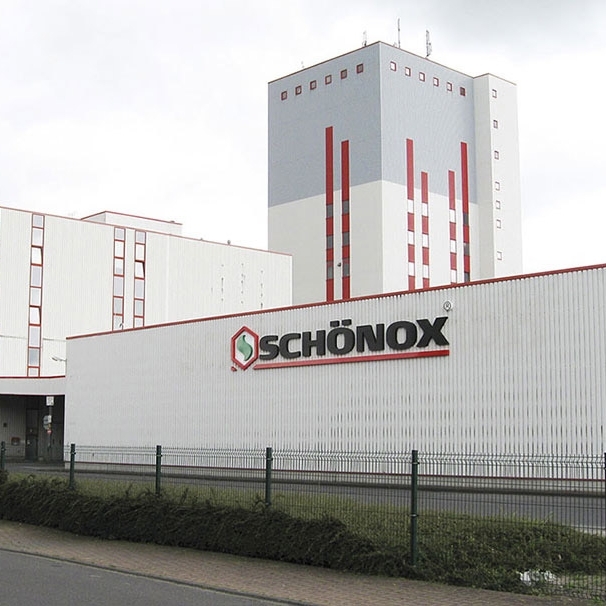 Schönox manufacturers the highest quality primers & moisture mitigation systems, repair products, floor leveling compounds, adhesives, and water proofing materials. A large research and development team is always at work developing solutions to the most challenging subfloor issues. While Schönox may be a new name in North America, the company is over 120 years old and active in twenty countries. Our product solutions are finding strong success in all facets of the flooring industry, with answers to subfloor issues that until now would have been answered with more costly and time consuming options. Quick•Step®, is as passionate about the technology that makes their laminate wood floors so durable as the style that makes them so distinctive. From their revolutionary locking system that helps prevent water damage to their ScratchGuard™ Advanced Finish Protection that defends against everyday wear. With Quick•Step® laminate flooring, you can create a truly extraordinary room and feel free to enjoy it. Knowing it's designed for living. ILVA products are meticulously created to offer an array of design possibilities. The product line includes natural stone, aged wood and modern concrete looks with endless combinations for indoor, outdoor and high-traffic areas. The raw materials used in every ILVA product, much of which comes from Italy and Spain, are carefully selected to achieve the best quality. As natives of the Veneto region of Italy, our founder’s have been entrenched in the tile industry for more than 40 years. As the second generation manages the business, their deep knowledge and expertise are what makes ILVA tile unique.